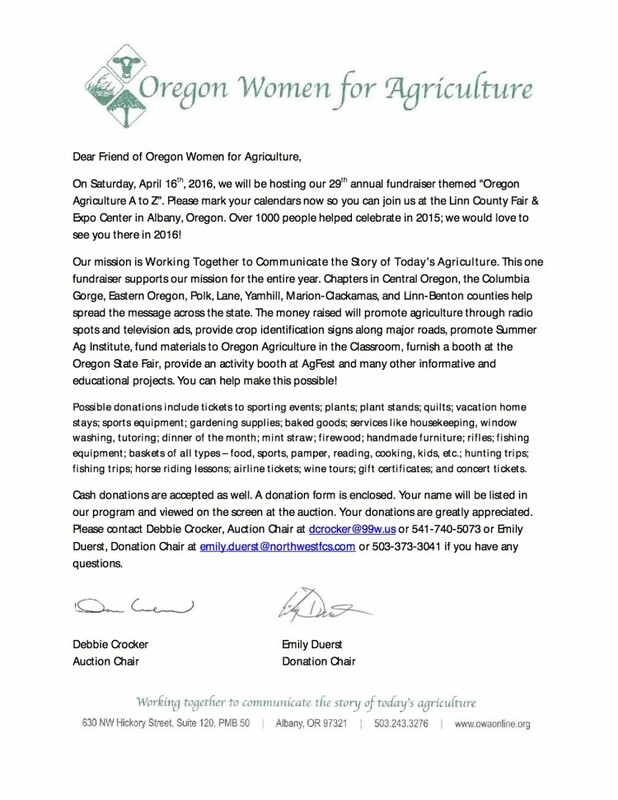 On Saturday, April 16th, 2016, Oregon Women for Agriculture will be hosting our 29th annual fundraiser themed “Oregon Agriculture A to Z”. OWA is currently accepting auction donations. Download a donation form or contact Emily Duerst with donation information. To learn more visit our 2016 Auction page!